We are sharing a meal together in a comfortable and welcoming place. This is an important way for families to connect each day. When we sit together instead of grabbing a meal on the run, we have time for conversation, personal interaction, and healthy digestion. Kids do eat more veggies and fruits provided at the dinner table, and there they are more likely to try new foods. Eating dinner together has also been is shown to be a stress reliever, and that helps the well-being of the whole family. 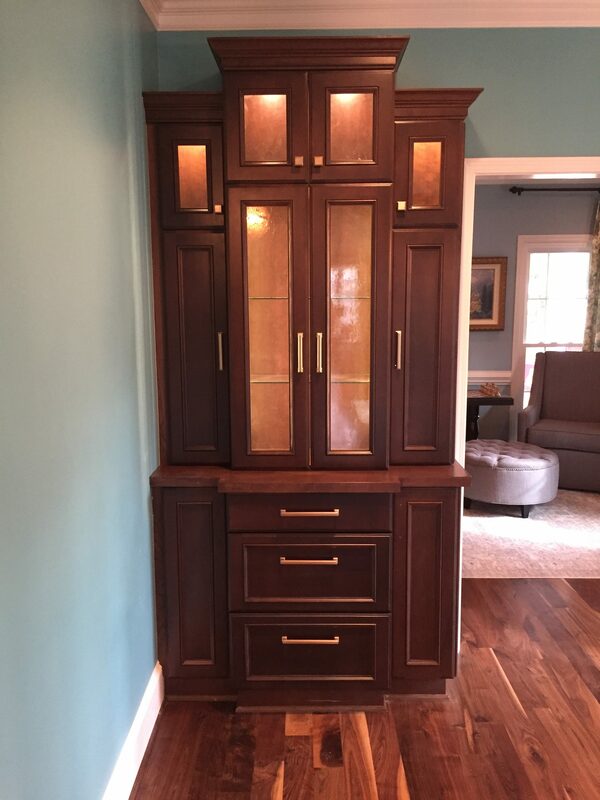 These beautiful cabinets flank the dining room doorway. They elevate the room by drawing the eye up vertically to the crown molding. The warm wood finish gives the room additional depth. 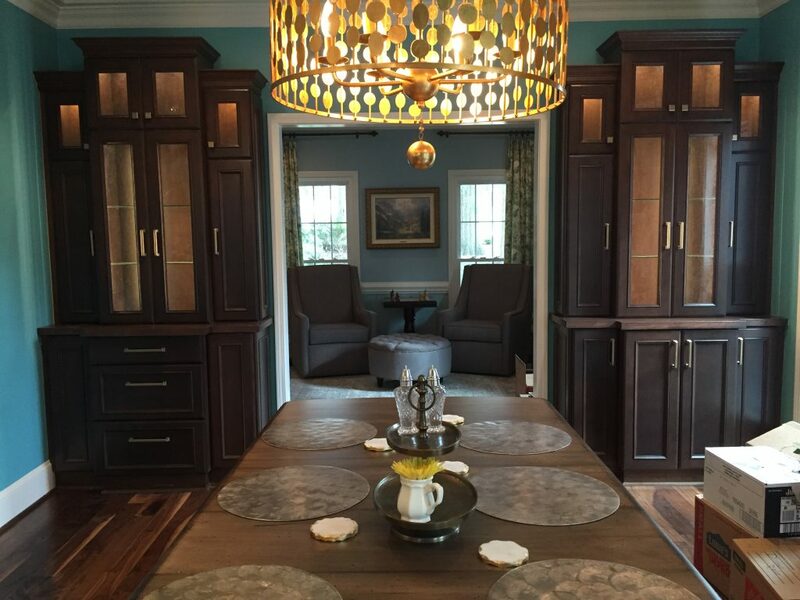 The cabinets are brightened with interior lighting, illuminating the textured glass within the cabinet doors. Glass shelves are ready for display of dishes and glassware. 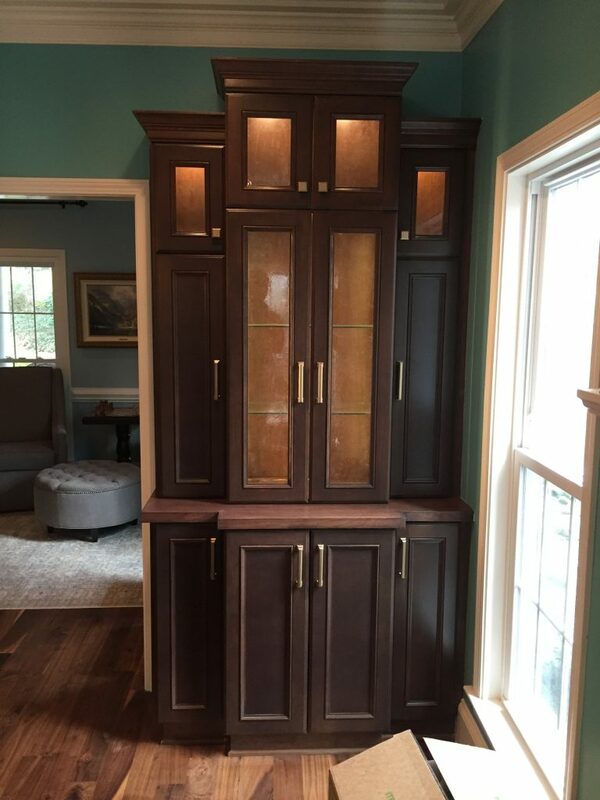 Side doors and drawers have great storage for table linens and fine cutlery. This inviting space is a nice welcome to dinner.